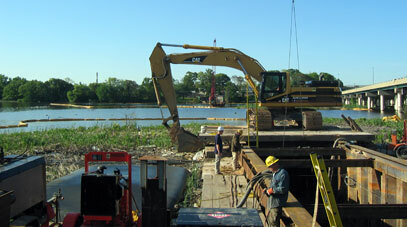 When the US EPA required the State of Maryland to improve sewage treatment in Baltimore County, just east of the City of Baltimore, the project engineer designed a 54 inch diameter sewer force main to connect the Stemmers Run Relief Wastewater Pump Station to the Back River Wastewater Treatment Facility. 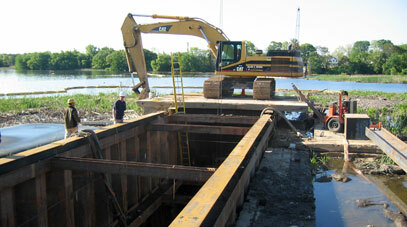 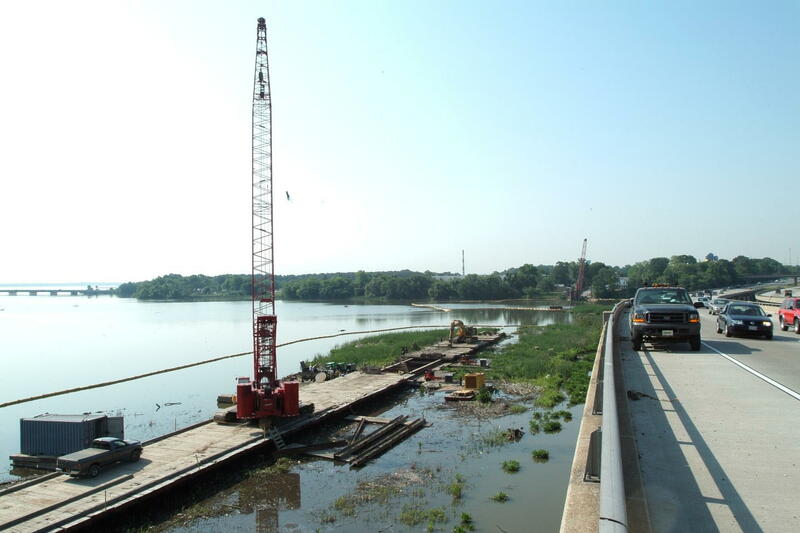 To minimize wetland disturbance and maximize access for construction equipment, the contractor engaged Peirce Engineering to design a combined cofferdam and work trestle. 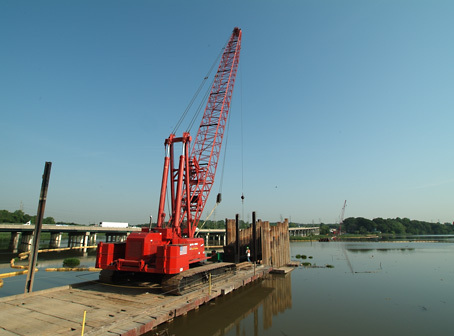 The resulting support structure was a steel sheet pile cofferdam, approximately 1700 feet long by 17 feet wide, internally braced, and capped with 28 foot wide transverse timber deck mats to serve as the access and work trestle for the trench excavation, pipe bent construction and trench backfill across the Back River.